One 14 karat white gold vintage-style ring. 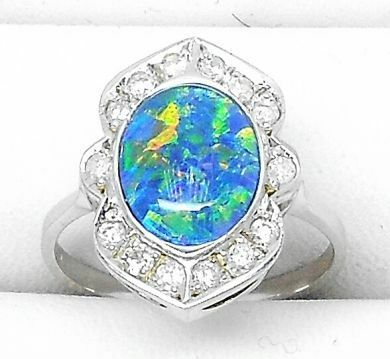 One opal doublet (1.73 carats). Fourteen round brilliant cut diamonds (0.29 carats: I1-I2 clarity: G-I colour).